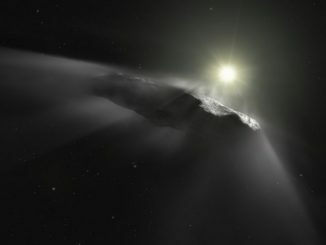 The cigar-shaped ‘Oumuamua, now sailing out of the Solar System after crossing the gulfs of interstellar space and looping past the Sun, has gained speed slightly, indicating it is a comet, not an asteroid as originally believed. 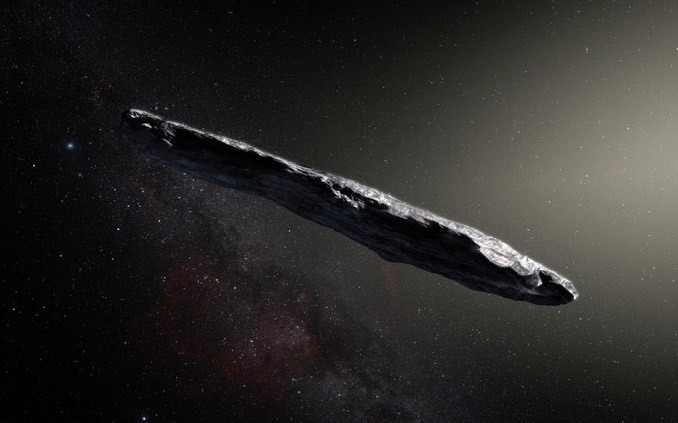 The interstellar asteroid ‘Oumuamua likely originated in a binary star system, researchers say. 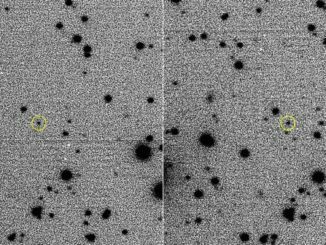 The rocky, cigar-shaped asteroid was discovered last October as it made a high-speed pass through Earth’s solar system. 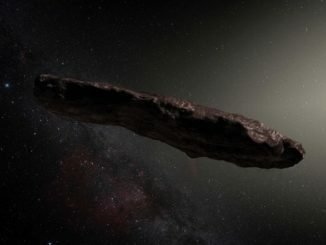 Astronomers analyzing the retrograde motion of an asteroid orbiting the Sun at Jupiter’s distance shows the body most likely originated in another star system and was captured by the gravity of the Sun and its planets at some point in the distant past.